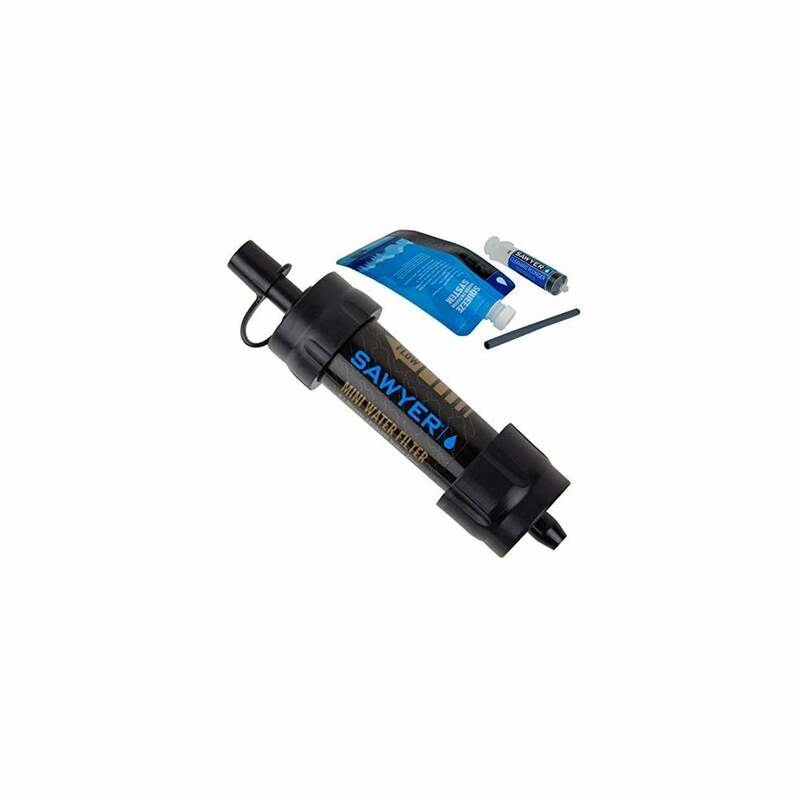 Sawyer Mini Water Filtration System Filters up to 100,000 gallons from fresh water lakes, rivers and streams. Sawyer filters are so robust they can be backwashed with high pressures and reused over and over again. Simply use the included cleaning plunger (syringe) to backwash the filter when it slows down or clogs. The Sawyer Mini Water Filter exceeds EPA recommendations for removal rates, removing 99.99999% of protozoa such as cryptossporidium and giadia. Versatile - drink instantly from the pouch or straw, dispense or share, use inline on a hydration pack or screw directly onto bottled water. Long Lasting - Filter up to 100,000 Gallons from freshwater lake, river or stream. Filter tip cap, drinking straw and instructions.